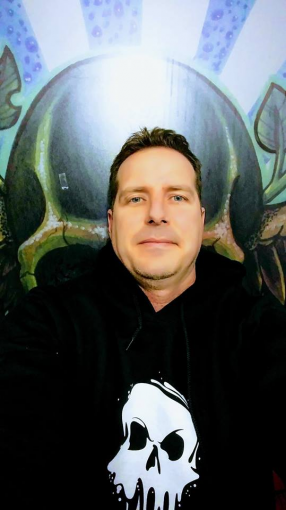 THE DIRTY ARMY: Nik, this is Cameron Gardiner, owner of one of Ottawa’s worst tattoo shops. He feels that because he owns a shop he’s something special, when he’s really just a useless idiot and a creep. He hires artists from other shops, and then when thy quit, he claims he fired them and goes out of his way to stalk them. I’ve known so many artists that worked there and left after a few months because he’s such a half wit. Thinking he’s cool while selling drugs and stolen bottles and equipment from his tattoo shop basement. Has a $10 000 gambling debt and creeps out customers by trying to make deals with them. Makes sexual comments to the female staff and brags about how they want him and fool around with him because he’s so desirable. Has 3 DRDs and doesn’t wrap it up, doesn’t tell any girls he hooks up with either And has 6 kids he brags about having when he was all f**ked up. It’s about time someone exposed this. This guy a his partner Marc Clairoux are such loosers. They are recently banging a fat married pig in there shop afer hours together named Tara Hudon. They are telling her they are going to make her an artist. His buisness is filthy. Also is hooked up with a looser artist & Rat, Marc Clairoux. He also is bangind a disgusting married pig named Tara Hudon telling her hes going to teach her how to tattoo. Both these guys ran a train on her in their shop after closing. Sanitary in a tattoo shop. No wonder peoples ink gets infected. He looks like a mega-gimboid. Wow, I have told him to sue you. Just because you were fired you think you can write anything you want and slander a decent human being. What a pig you are. Isn’t this guy under investigation for touching a 15 yr old girl in his shop ?